Age, gender and their small numbers make girls one of the most vulnerable and neglected groups involved in criminal justice systems. While far from being a homogenous group with characteristics and needs that vary between countries, we know that there are many issues that they face in common. These include the fact that they may be primary carers for children (their own or siblings), they have specific health, hygiene and sanitary needs, they are at a high risk of substance abuse, self-harm, metal health issues, HIV and other sexually transmitted diseases, they may have experience past physical, emotional or sexual abuse, and they are at risk of violence whilst in detention. Relatively little is known or understood about offending by girls, their specific needs whilst in detention, or about what is effective in terms of gender-sensitive rehabilitation and social reintegration measures. However, there are clear steps that States and those working with girls in the criminal justice system can take to ensure that their rights are protected and promoted. PRI and the Inter-agency Panel on Juvenile Justice (IPJJ) have produced a new briefing paper Neglected needs: Girls in the criminal justice system to examine the specific challenges faced by girls in contact with the criminal justice system and makes recommendations for strengthening the protection of their rights. 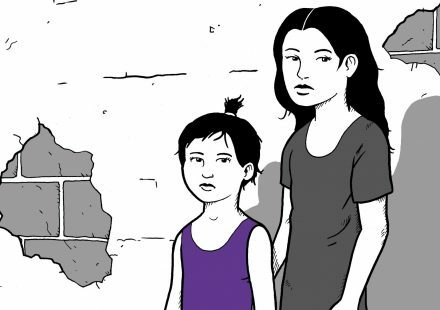 This PRI Justice for Children briefing, produced in partnership with the Inter-agency Panel on Juvenile Justice, examines the discrimination girls in criminal justice systems face and measures needed to strengthen protection of their rights.